Up to 60 million people speak Spanish today in the USA. 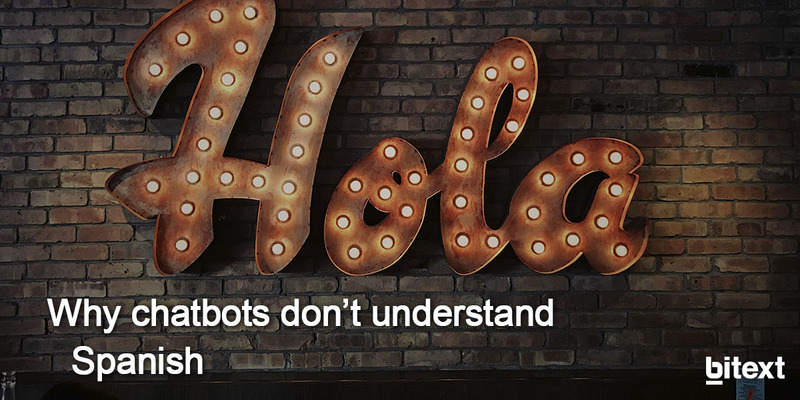 However, large companies like Bank of America or Amtrak are struggling to have a Spanish-speaking customer support bot to multiply their sales opportunities. Is it that difficult to make AI understand Spanish? Companies are investing large amounts of money in getting a so-called chatbot automation for their customer support channels. However, they are being stopped by some hurdles in the way. Nevertheless, some obstacles are standing in their way. One of the biggest is, in this context, the ability to understand different languages. In the North American market, for instance, where a 20% of the population speak in Spanish, there is a big need of chatbots supporting that language not to lose any potential client. What is the problem with understanding Spanish? Making bots understand users in any language is not an easy task. Every language is different and this training process can vary, in terms of difficulty, from one to another. English, for example, has very few different forms for each word. Think about the verb to give, that is just composed by the following 5 forms give, gives, gave, given and giving. In contrast, the equivalent verb in Spanish presents a wide range of variations. Apart from the verb issue, there are much more difficulties that come with Spanish, that slow down a Machine Learning process. That’s why, probabilistic models are in need of a linguistic approach to understand different languages, also if they are as complicated as Spanish, Finnish, Arabic or even Hindi. This language issue is hampering companies when developing a multilingual automated customer support channel that meets their customer speaking in different languages. 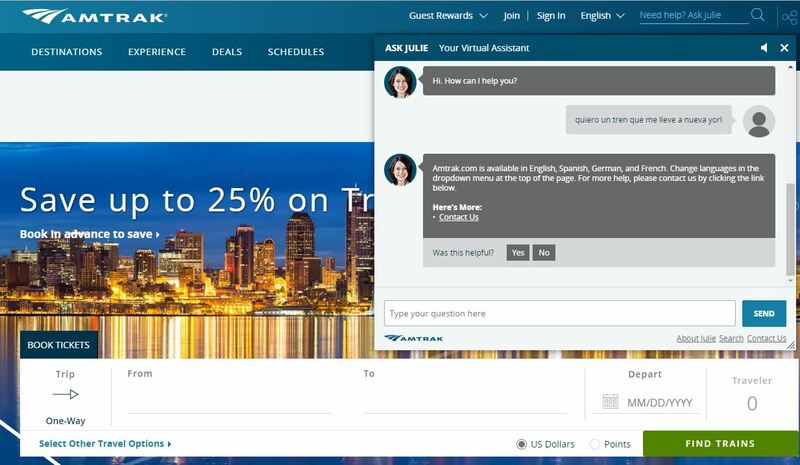 Not even such large companies as Bank of America or Amtrak, with plenty of resources, have chatbots speaking in Spanish. When you talk to Erica, the artificial intelligence chatbot of Bank of America, she can understand most of the conversation in English. However, if you write something in Spanish she will return a nice “Sorry, I can’t speak your language yet, but my colleagues are working on it”. This fact is keeping the Hispanic population away from the bank. The same happens to Julie, the virtual assistant for the transport company Amtrak, who is able to help customers book reservations, navigate Amtrak.com and plan a vacation. This is possible, unfortunately, just in English. If you write something in Spanish, Julie will say you that “Amtrak.com is available in English, Spanish, German, and French. Change languages in the dropdown menu at the top of the page”. Do you think this is enough for a good customer support? Is there any solution to make chatbots understand Spanish? The answer is yes. Bitext has developed a Natural Language tool able to make a bot such as Erika or Julie understand Spanish queries by means of API requests. This tool works as a middleware between a bot and customers, helping the first understand what customers are saying in their own language. This brand-new technology has been designed to work with any bot platform, so integration is a smooth and easy process. Let's teach your bot Spanish, it is easier than ever! Do not hesitate and try our API to see how it works.